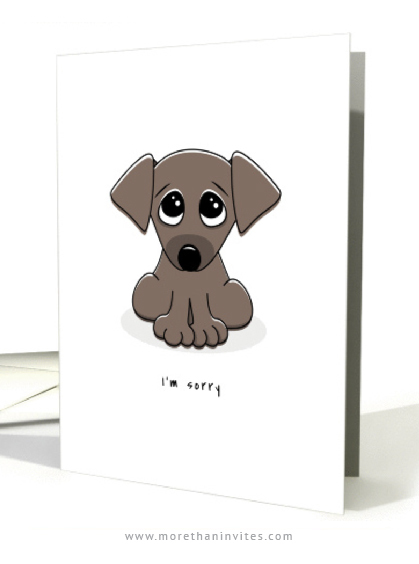 Cute greeting card featuring an adorable little brown puppy dog with big, sad eyes. Text “I’m sorry”. Available from Greeting card universe.